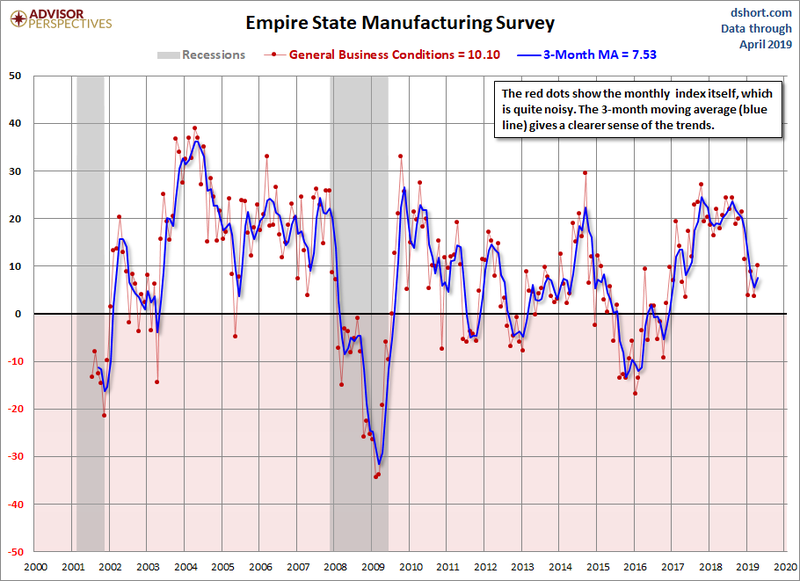 This morning we got the latest Empire State Manufacturing Survey. The diffusion index for General Business Conditions at 10.10 was an increase of 6.4 from the previous month’s 3.70. The Investing.com foreBy cast was for a reading of 6.70. Click this link to access a PDF set of charts of the individual components over the past 12 months. Since this survey only goes back to July of 2001, we only have one complete business cycle with which to evaluate its usefulness as an indicator for the broader economy. Following the Great Recession, the index has slipped into contraction multiple times, as the general trend slowed. We saw a gradual decline in 2015 that began picking up in 2016. Here is an overlay of the current and future conditions (a six-month outlook). 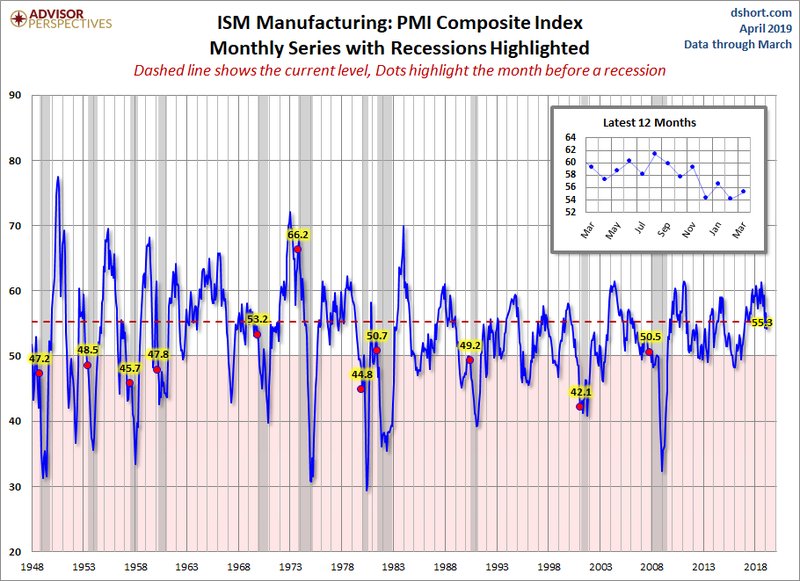 Meanwhile, here’s another look at the latest ISM Manufacturing Business Activity Index. Let’s compare all five Regional Manufacturing(NYSEARCA:XLI) indicators. Here is a three-month moving average overlay of each since 2001 (for those with data).